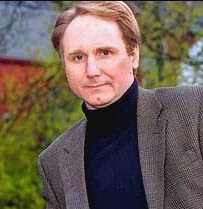 Dan Brown New Book - A new novel by Dan Brown is announced. Nearly six years after the international phenomenal bestseller of “The Da Vinci Code”, the Book publishing company Knopf Doubleday Publishing Group will launch in Fall 2009 the new Dan Brown Novel “The Lost Symbol”, a few months ago ''The Solomon Key'' was the working title. This book’s narrative takes place in a 12-hour period with great suspense. “The Lost Symbol” will again feature Harvard symbologist Robert Langdon. I'm a huge fan of Dan Brown's work, he is a great storyteller, hope this new novel will come up as good as The DaVinci Code. “The Lost Symbol” will hit bookstores on Sept. 15, 2009.